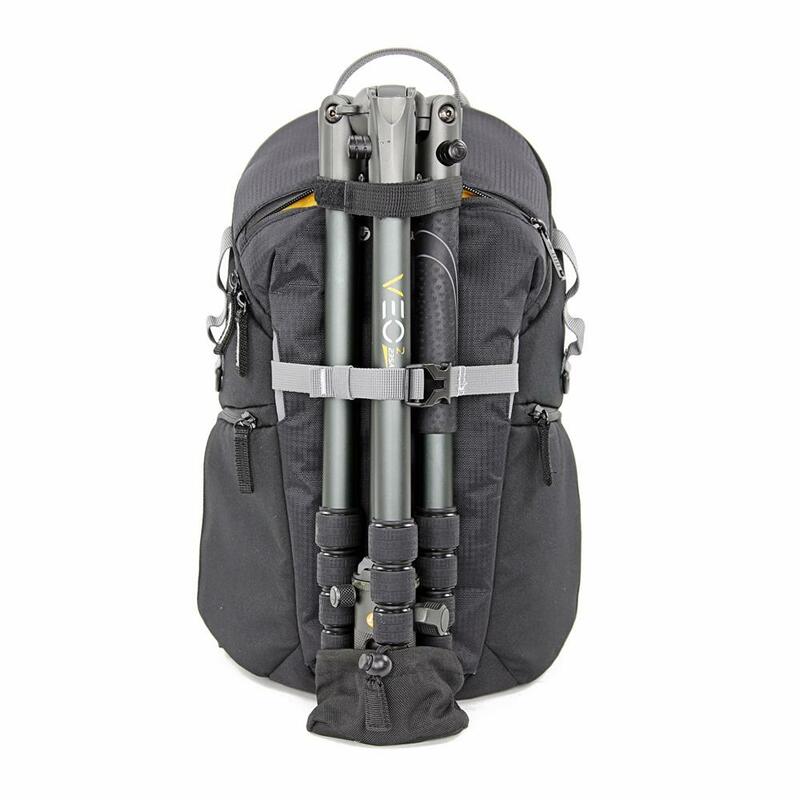 The VEO DISCOVER 42 is a sling backpack that fits a DSLR, 1-2 lenses, a flash, a 9" tablet and it carries a VEO tripod or monopod. 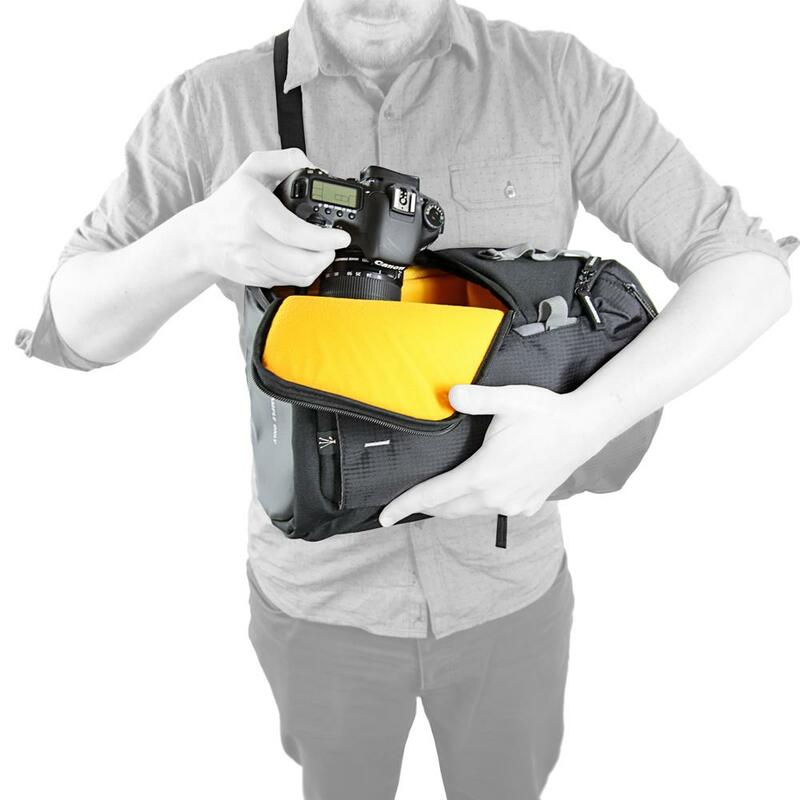 It can be transformed from a daypack to right/left handed quick-action, side access sling and back again without ever being taken off, enabling you to discover creative moments 24/7! 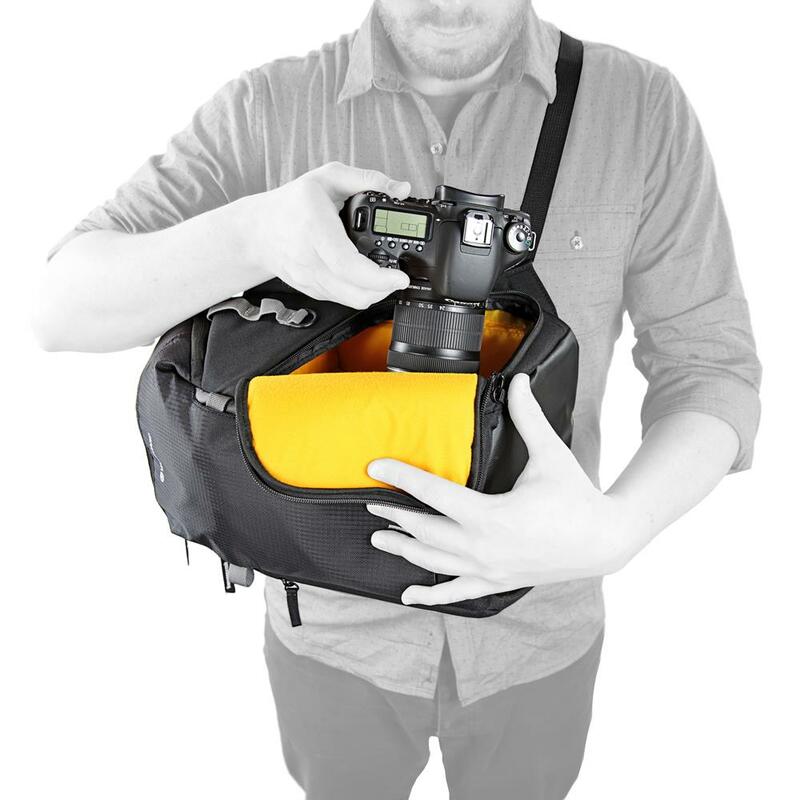 handed shooter this bag slings both ways and guarantees quick-action, side access to your main camera, from whichever side is most convenient to you! 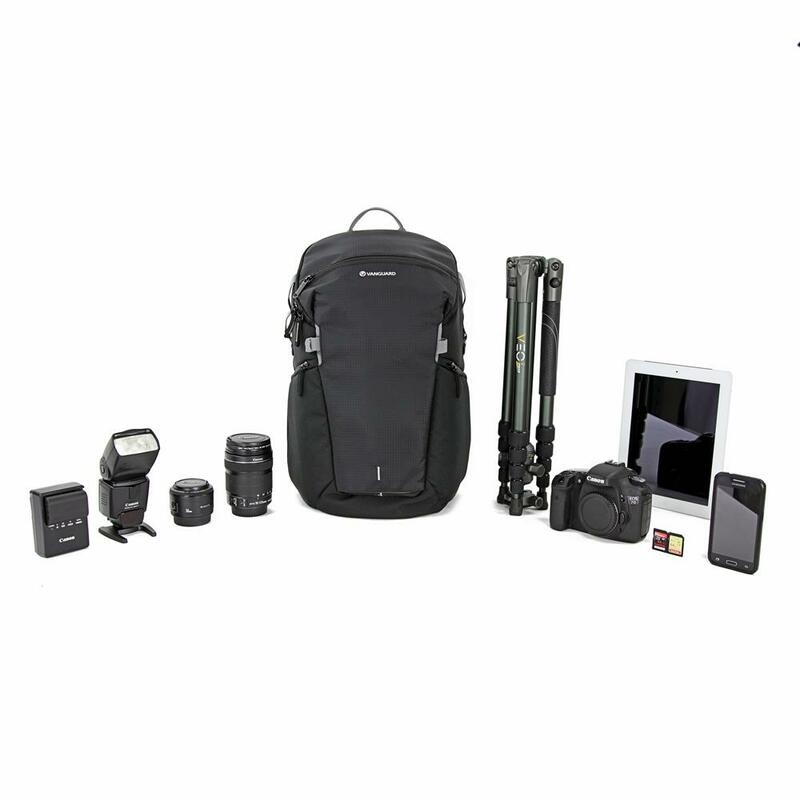 Upholding our high standards of quality, materials and protection the VEO DISCOVER 42 is designed to safeguard a DSLR, 1-2 lenses, a flash and a multitude of accessories. 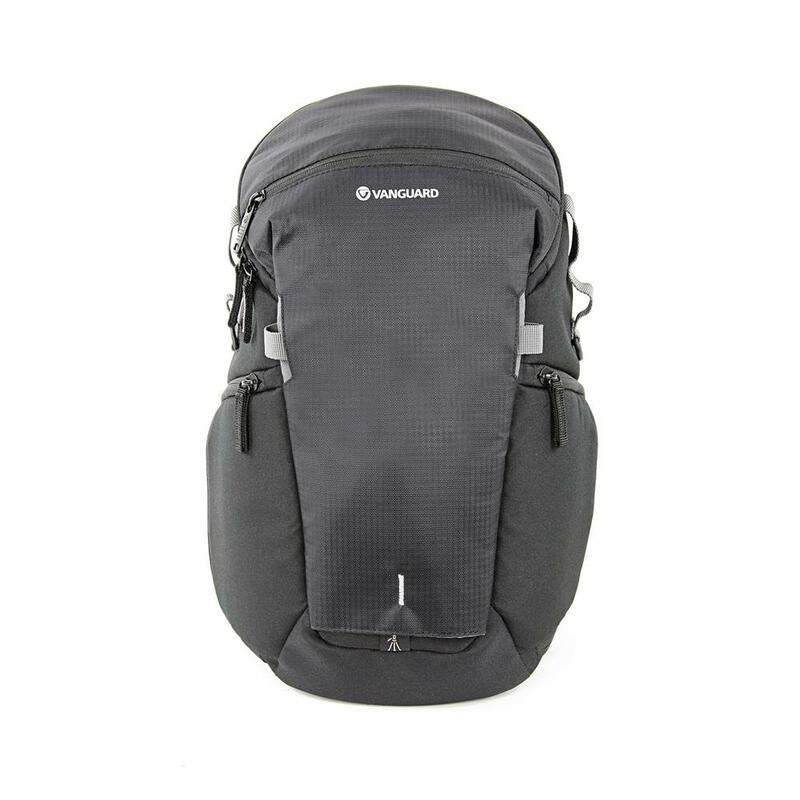 Spacious top compartment offers "daypack" personal storage, or room for additional gear if needed. Secure rear compartment protects a tablet and strategically placed internal and external pockets, arrange all other essentials, such as lens caps, memory cards, cables, batteries, charger and smartphone, exactly where one needs them secured in a dedicated compartment or zippered pocket. We also offer a concealed rear pocket to secure valuables such as wallet and travel documents close to your body where no prying hands can reach. Additional features make sure you get maximum performance: incorporating our second-to-none quality, materials and bag construction, sturdy water resistant & anti-scratch material on the bottom, our total coverage rain cover and our optimal balance tripod carrying system. The VEO DISCOVER 42 sports a fully padded and breathable back to ensure that it carries comfortably as both sling and backpack. 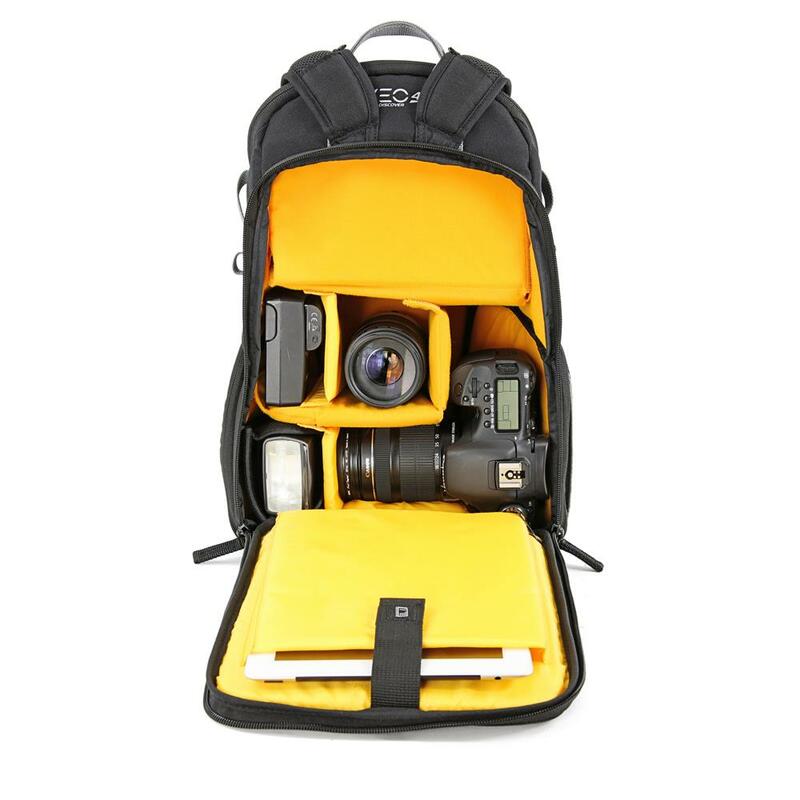 It also offers extra stabilizing strap when in sling mode, which still allows rapid action on-the-go. As life, work and circumstances are constantly changing, we have made sure that the VEO DISCOVER 42 can follow you anywhere and everywhere, including on board an aircraft when flying. You will find its size and form factor perfectly suited for today's flight requirements and regulations. Inside Dimensions: 220 x 170 x 410 mm / 8.6 x 6.7 x 16.1 in. Outside Dimensions: 270 x 215 x 420 mm / 10.6 x 8.5 x 16.5 in. Weight: 0.93 kg / 2.0 lbs. Maximum Loading Capacity: 4.8 kg / 10.5 lbs.